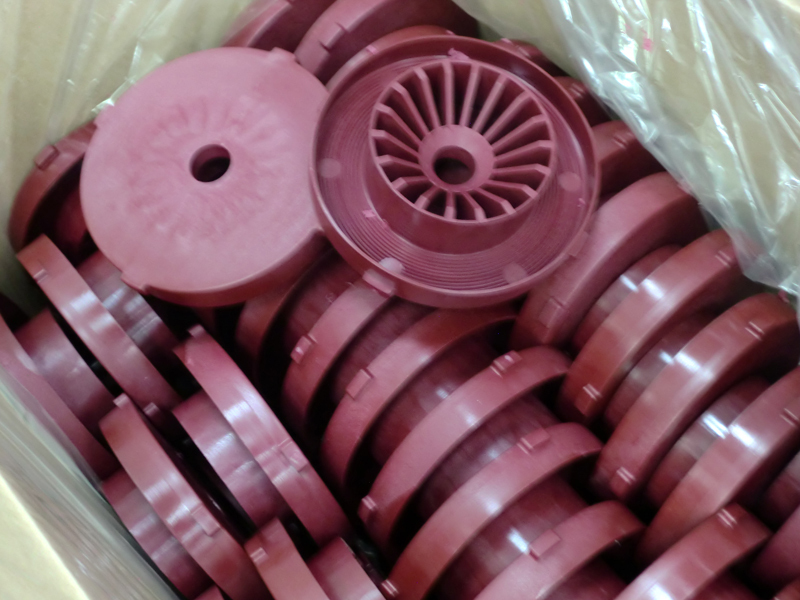 Metro Custom Plastics is able to provide complete end-to-end solutions for many different types of plastic components. We manufactured the end caps shown to withstand the extremely corrosive and high heat environment of an oil field application. Metro Custom Plastics extensive in-house resources allowed us to keep tight control over every aspect of this project and continuously monitor its progress. 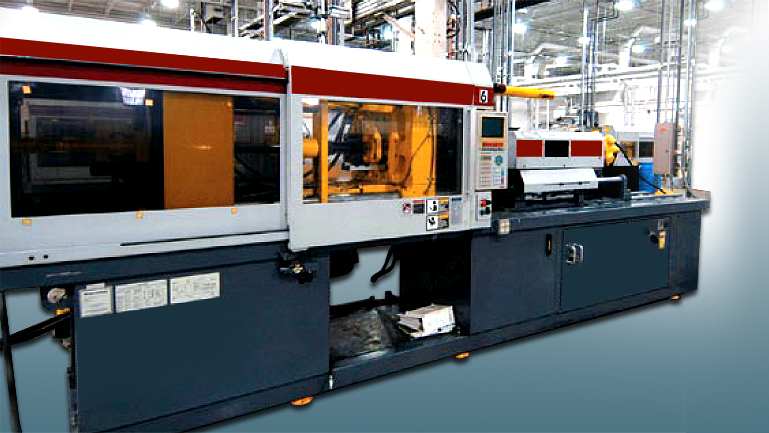 We designed and built all the tooling and fixtures needed for secondary operations. 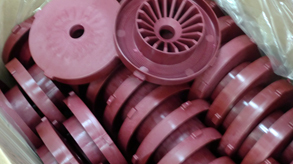 In addition to sourcing the raw materials and managing traceability requirements, Metro Custom Plastics coordinated injection molding the components, secondary machining, drilling, inspection, testing, inventory management, and shipping. This project involved an entire line of end caps ranging in diameter from 2" to 7" that were produced in various colors. Materials of construction included Polyester, Polypropylene, and Nylon. These materials provided the advanced strength, wear, and thermal properties needed to survive in the customer's harsh conditions. Metro Custom Plastics used 230- 500 ton injection molding presses to mold these end caps. Additional processes involved machining O-ring grooves to very close tolerances. By focusing on every detail at each step of the process, Metro Custom Plastics was able to deliver a high quality product to the customer on time and on budget. To learn more about this project or how we can transform your concept into a high quality finished product, contact us today.